On Thursday, 24 September Manchester City officially unveiled City Circle, a project celebrating City fans’ memories with permanent fixtures in a unique design on the Etihad Campus. The installation, located at the foot of the community bridge linking the Etihad Stadium with the Club’s state-of-the-art City Football Academy, is a collection of glass, metal and bronze discs engraved with birthday messages, memorials and stories from City fans. Together they form the first lyrics of the iconic fan song ‘Blue Moon’, which resound from the stadium at every home game. 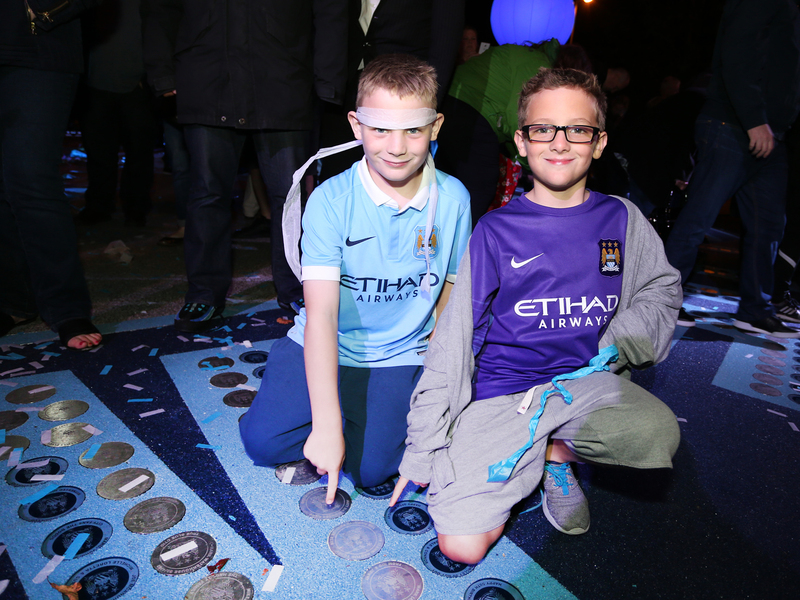 Supporters and their friends and families who purchased discs were invited to attend an official unveiling of City Circle at the Etihad Stadium. 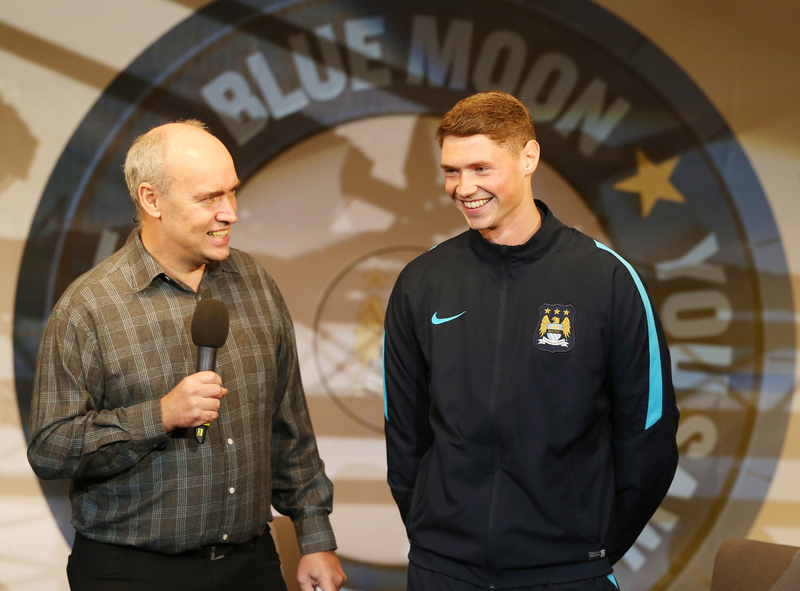 Live music, entertainment and complimentary matchday fanfayre were all on offer before the event kicked-off with the evening’s host and BBC Radio Manchester presenter, Ian Cheeseman. Ian was joined on stage by a full complement of Club guests including former players Paul Dickov, Andy Morrison, Richard Edghill and Peter Barnes; Danny Wilson, Manchester City’s Director of Stadium Sales and Operations; Izzy Christiansen, one of Manchester City Women’s star midfielders who was fresh off her England debut; and last but not least, rising Manchester City stars, Tosin Adarabioyo and Wythenshawe-born George Evans, who is the only player in the Club’s history to have played in every one of its age groups, most recently City’s incredible 4-1 defeat of Sunderland in the third round of the Capital One Cup earlier this week. Simon Riley, a lifelong Blue, was one of the supporters at the event who had purchased a City Circle disc in memory of his father Ron. The disc came as a surprise to both of Simon’s brothers, Graeme and Arran, who had no idea it existed before arriving at the Etihad Stadium for the event on Thursday. 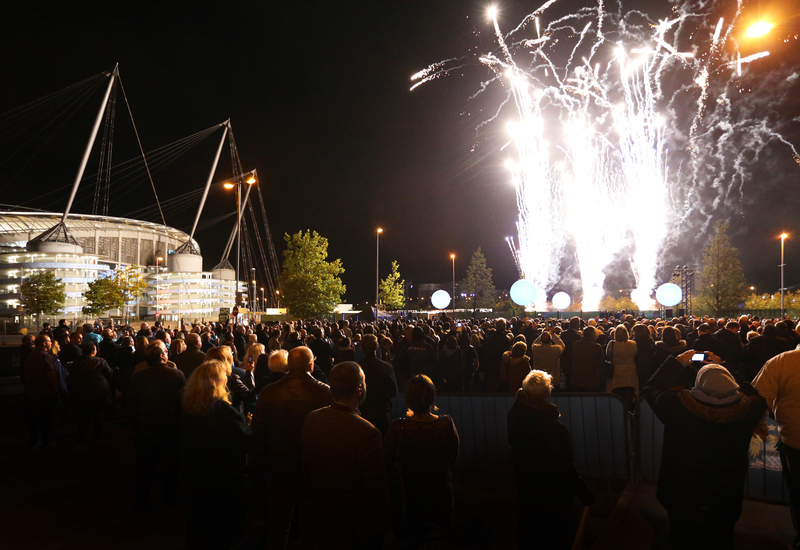 Following a series of question and answer sessions, which fans also had the opportunity to take part in, supporters made their way to City Circle where the installation was officially unveiled under a shower of blue lights and fireworks. Guests spent the remainder of the evening reading each disc and sharing their greatest stories with fellow supporters and the players who were there to witness this momentous occasion with them.